My Numerology Book in Chinese! The first desktop computers had become available, and I jumped on the chance to buy my own Macintosh. It had a large hard drive of 20 Mb. (That's right, twenty megabytes!) At the time I didn't think I would ever be able to fill that much space. As soon as it was set up on my desk, I started work on the Numerology software, not realizing that it would become an on-going project for the next three decades. As far as report writing software goes, and the hundreds of text files needed to create a text database that would cover every possible number combination, the Macintosh worked fine and kept me busy day and night (12-hour days were the norm, not the exception). 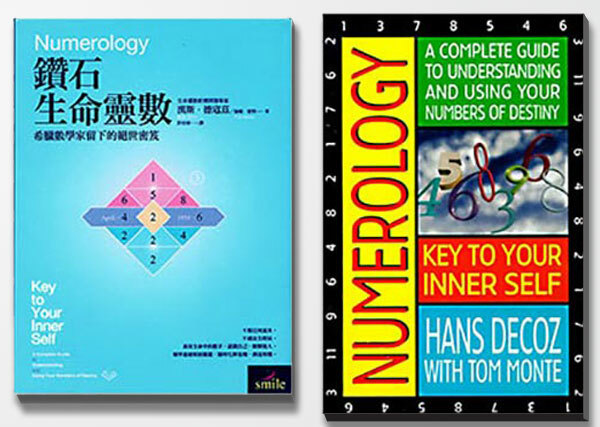 It took me almost three years to write the first Numerology text database. And that was only a start. 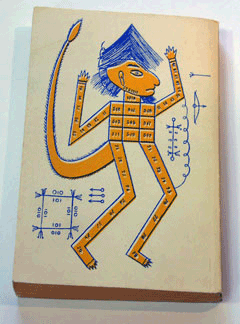 A problem arose when it came to creating calculation and charting methods for personal Numerology charts. I had designed a single-sheet layout of a Numerology chart in prior years and was using that particular charting method daily, calculating and drawing the charts by hand. I liked my layout because it allowed me to oversee a complete chart without having to flip pages or shuffle different sheets. Unfortunately, the Macintosh was not up to the task -- it didn't have the CAD capabilities required. I needed a computer that could run AutoCAD, which has its own programming language called LISP. Back then, AutoCAD was the only application available that could be customized to create the kind of color Numerology charts still part of my current Numerology software package. I was forced to acquire a PC in addition to my precious Mac. I bought a Compaq 284, I believe that was in 1985 or 1986. The ChartMaker software has since been upgraded several times and was long ago pulled out of the CAD environment. It is now part of the World Numerology App. In addition to work on the Numerology software programs, I wrote Numerology; Key To Your Inner Self: A Complete Guide to Understanding and Using Your Numbers of Destiny, published by Avery Publishing (now Pedigee) in 1994 and sold steadily ever since. 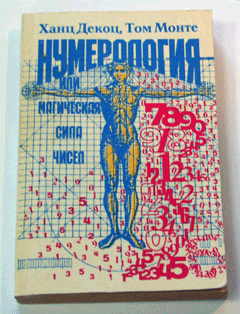 In 1996, the book was made available in Russian. I have no idea how well it sold, or if it sold at all. I never received any royalties beyond a small advance -- and I mean small! Obviously, the Russian publisher didn't ask me for any input in the cover design, and to this day I don't know what it's supposed to convey. The back cover in particular is intriguing. If you have any ideas, I'd love to know. It just looks like a cartoon of a monkey divided in sections, like one of those diagrams that tell you where a particular kind of meat comes from in a cow. A couple of weeks ago, I agreed to the sale of the Chinese language rights to a large and reputable Taiwan publisher. The advance is reasonable and this particular publishing house will pay royalties as agreed. They have a long line of well-known authors, and offices in Taiwan and New York. Obviously, I am very happy about that. After all, at last count there were a lot of people who speak Chinese. And of course, I am looking forward to some feedback from that part of the world. China, after all, is the seat of civilization. NOTE: This article was first published in 2015. The book is now available in Mandarin, and a Japanese translation is scheduled for release late 2018.